Gov. 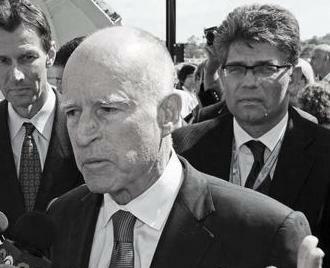 Jerry Brown on March 15th explaining to reporters his "compromise" with unions over the competing tax initiatives. Last week news of a “compromise” between Jerry Brown and the coalition behind the Millionaires’ Tax was announced and was seen by some in the media as a victory for progressives. In the LA Times the Republicans greeted the news by saying that the Governor had surrendered to a “backwater union” (my statewide union, the California Federation of Teachers) by giving in and upping the taxes on the wealthy and lowering the sales tax in his initiative. While the “compromise” does up the progressive elements of the tax and lower the regressive elements, it is still structurally the same as the Governor’s original initiative, hangs on to the regressive sales tax, and continues to be temporary without any of the guarantees of higher education funding beyond community colleges or any of the other specific requirements that the Millionaires’ Tax contained. Indeed, it’s likely that what this new measure will do is go to the general fund to offset costs rather than restore cuts and/or create new jobs. Worse still, the deal was struck after the seventh straight poll showed the Millionaires’ Tax winning and weathering opposing arguments better than the Governor’s measure which dropped to 46% approval after opposition’s arguments were introduced. Why did this happen then? Not because new polling showed that a fusion of measures stood a better chance of winning but because the CFT was isolated, threatened, and folded in the face of those threats . The end of the Millionaires Tax of 2012. Specifically, the representatives of the Governor who says he has “no ego” in this (when speaking to reporters) insisted that the Millionaires’ Tax be dropped because Brown would be perceived as a “failure” if his measure didn’t succeed while the Millionaires Tax won the day. Thus, Democratic insiders told CFT that their lobbyists would be persona non grata in Sacramento if they kept the Millionaires’ Tax in the game. In addition to this, the California Teachers Association and the Service Employees International Union, rather than standing with their fellow workers and pressuring the Governor to drop the sales tax, threatened that they would spend big money to attack the Millionaires Tax so it would be doomed to fail and would punish community groups allied with CFT. Labor allies like the California Nurses Association also threatened to leave the coalition and side with Jerry Brown. Rather than standing up to this kind of bullying and betrayal, CFT leadership unilaterally negotiated a deal without consulting the membership and presented it to the Executive Council of the CFT as a fait accompli. The CFT Executive Council then rubber-stamped the decision without going back to their members for input. In short, nobody was joining hands and singing “Kumbaya” at the negotiating table. It was a process driven by fear and profiles in cowardice were plentiful. This capitulation is a victory for business as usual in Sacramento—threats, big money, and power politics at their worst. It is a prime example of statewide union leaders caring more about politicians in the Capitol than their members and of Democratic insiders disciplining progressives through coercion when their weak arguments failed. Thus, the most popular of the three initiatives that clearly drew a line between taxing the 1% rather than the 99% was abandoned in favor of a far weaker proposal that keeps a regressive sales tax that will likely drag this new measure down to defeat. I repeat, there is no research to suggest that this new measure, which is structurally the same as the Governor’s original measure, will do any better than the 46% approval rating the original measure had after opposition arguments. If that is not bad enough, the fact is that no initiative has ever been able to gather the requisite number of signatures needed in the short time period that remains to re-write and qualify the compromise measure—more than 1 million signatures in less than 2 months. It’s the Hail Mary of Hail Marys. And if you weren’t skeptical already, you should be when learn that Brown is continuing to circulate his first, badly flawed measure as a safety net, while the Millionaires Tax will surely be pulled before we even know if the compromise will make the ballot. It’s a big gamble at best, a bait and switch at worst. And the lowest polling, surely doomed, Molly Munger measure is still in the game while the best polling, most likely to pass measure is now dead. 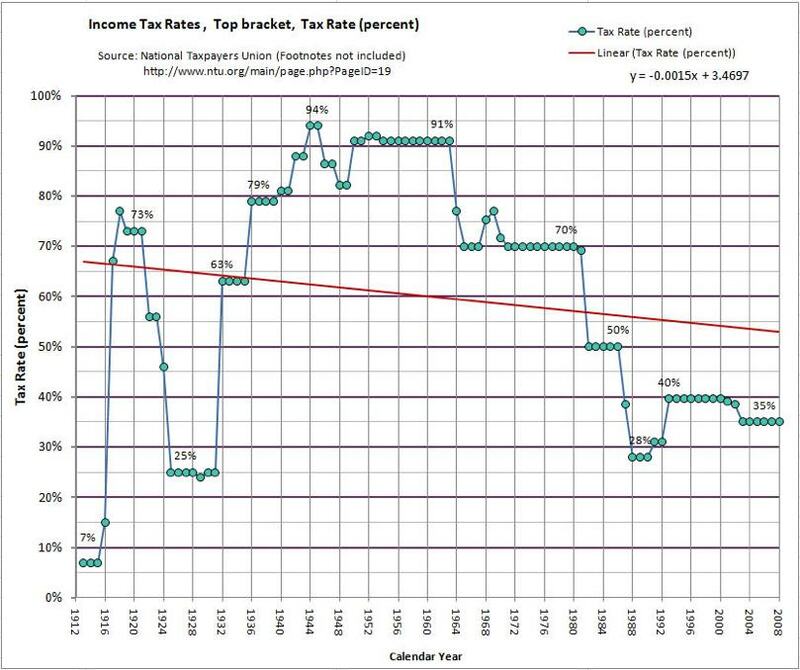 Dead along with it is a historic opportunity to have a clean fight on progressive taxation framed around the growing economic inequality in this country. Only the political wonks will care that the sales tax is now at a quarter cent instead of a half –cent (the poor will still feel it). The anti-tax zealots will hang the sales tax around the neck of the compromise proposal (and/or Brown’s original proposal in the very likely event that the compromise fails to make the ballot) and the social justice argument will be lost in favor of Brown’s “shared sacrifice” case designed to please the Chamber of Commerce. No matter how those in favor of this sell-out frame it, the new initiative blurs the issues and makes it more likely that California’s education system and vital public services will not get the revenue they need. Also dead is a movement that united workers, students, and the vast majority of the public. It would have been a good thing for the big unions to lose this battle rather than win through intimidation. This deal rewards bad behavior inside labor and the Democratic Party. It is a win for the same old business as usual and hurts rather than helps labor’s ability to put on a good face to fight the paycheck deception measure coming this fall. Simply put, it’s not good to act like a bunch of inside game bullies when you are trying to protect your ability to spend money in politics. It just makes it easier for the corporate crew to demonize you when you live up to the stereotype of “big labor” with its “union bosses” doing backroom deals with the Governor. And it’s hard to talk movement when you are in an alliance with Occidental Petroleum and the hospital lobby. To those who would say a public airing of this dirty laundry is damaging to the movement: it is this behavior, not the criticism of it, which will be the lead in labor’s obituary. Of course, we need to defeat paycheck deception and we need new revenue even if it comes in the form of a lesser measure, but in their zeal to kill the Millionaires Tax, the Democrats and their pit bulls in labor have been their own worst enemy—throwing movement politics under the bus and killing hope in favor of the inside game. “More than 20000 California teachers pink-slipped” in the same week. you can learn more about that here… (bear with me as I insert some characters to make sure this link doesn’t mess up the home page)…. Heartbreaking to see the unions going in the same direction as the broader Democratic Party: away from social justice, toward irrelevance. Jim Miller –the author here–won the San Diego and Imperial Counties Labor Council 2011-12 Union Hero Award last night at their annual dinner! The nominating statement reads: “Jim Miller sets the example for everyone we represent. He brings a kind of dignity to labor activism that can’t be found within unions that focus on bread and butter issues alone. As [AFT Local 1931’s] political action guru, Jim marched from Bakersfield to Sacramento to bring awareness to an education system under siege; he campaigns tirelessly to forward the cause of tax reform in California; and has joined forces with other San Diego progressives to support the OSD movement. He is willing to challenge the AFT National and the Labor Council, when issues of principle are at stake, even as he works hard to support his local, the Labor Council, organized labor in general, and progressive movements that are committed to a progressive vision of the future. We believe his integrity and selfless actions warrant recognition among others who have devoted themselves to the strengthening of human dignity through solidarity.”. Jim- you write that “Also dead is a movement that united workers, students, and the vast majority of the public.” Our only hope, obviously, is to keep that movement alive somehow. A profound change in union leadership is called for, although if it does happen, it will come too late on this issue. I am discouraged…. The Molly Munger/PTA initiative, “Our Children, Our Future”, is still the only one that funnels money directly to school sites and mandates parent and community input re how the money should be spent. It is based on a reasonable and fair sliding scale income tax for everyone and is therefore a more stable funding stream than the CFT/Governor Brown hybrid initiative. The money will be placed in a separate trust fund that can only be spent as authorized by the provisions of the Act. The Governor and Legislature are prohibited from using the money. It cannot be used to increase current teacher salaries, but can be used to hire additional teachers and staff, i.e., the arts, science, technology, engineering and math, smaller class sizes, counselors, librarians school nurses, and more. No more than 1% of money raised by the The Molly Munger PTA “Our Children, Our Future” initiative will go towards administrative costs — mandated. The initiative will raise $10 billion for schools per year for twelve years. Every child in the state will benefit. The money goes into a trust and does not pass through Sacramento. Parent, teacher, community input re how money will be spent at each school site is mandated as well. At this point in time, CA would need to spend an additional $60,000 a year, per classroom, just to catch up to the national average — that is a fact. CA has the highest ratios of students to teachers, students to counselors, students to administrator in the country — that is a fact. We are shortchanging all of our kids and have been for many years. PTA, the largest volunteer organization lobbying for children, supports “Our Children, Our Future”. Where’s all that Lottery $$$ for schools going? $800 million per year is still a grip of cash. That would be $802,407 per year for each of the 977 school districts in CA. And the governor just made permanent an additional $2 billion cut to education last year thanks to a court ruling the other day saying that it’s legal to move money out of the general fund and lower the minimum amount of funding due education under Prop 98. Schools just keep getting hammered and there is no catching up. It sounds like this Munger initiative will bring a lot of money right to the schools without any Sacramento money grabs — sounding better and better to me. signatures. Let’s give this our best shot! Dear BO SDSU, Here is an update: the union that I am in is the one you refer to, AFT Local 1931. My president voted no on the compromise on the CFT E Board but we lost the vote. We have thoroughly hammered the leadership. Sorry to say, this is a done deal. Now this flawed compromise, which does little for higher ed is the only real chance for revenue. As I note in this piece, it was made more progressive but still contains the lower sales tax (now 1/4 cent down from 1/2 cent) which I fear may drag it down to defeat. No polling has yet been done on the new measure. We shall see. Very informative article, made more relevant by Brother Miller’s critique of the d-party and business unionism. All taxes on wage slaves are regressive, backward, the confiscation of worker created wealth. And their is no such thing as “shared sacrifice” between the exploiters, their agencies and the exploited…it is a worthless abstract term. My union, for near 30 years, was and is (retired dues paying member) the Amalgamated Transit Union. The latest newsletter from the International Canada and U.S.—how that qualifies as International is anybody’s guess, announces the endorsement from the ATU Executive Board of the current guy in the White House. No discussion, no debate, no straw poll, nothing from the rank & file. The ATU is always one of the first to line up with the d-party prez candidate. It’s a ritual. The disintegration of collective bargaining units, nationwide, continues. The truth is, the 1% actually needs their labor hacks to help police and control the ranks. But the afl-cio tops haven’t a clue, even as they witness their own collapse. They only know duplicity. The ranks are beginning, (not just because of Occupy), to awaken and stir due to the stress of home grown social issues bearing down, healthcare, pensions, education etc. Hope does not lay with this or that bill. Breaking free to an independent existence for wage slaves, collectively, can bring much more than hope…the chaos of liberty, seeking common goals is the only way forward…over and over again, our youth seeks this kind of society, their minds less corrupted. We have the tools, cut the cord, surface and breathe, or drown. That would be a step forward, not into the abyss, but from it. Newer Article: If You Have to Eat Crow, How Do You Season It?